1000 Words is delighted to announce its fourth workshop. 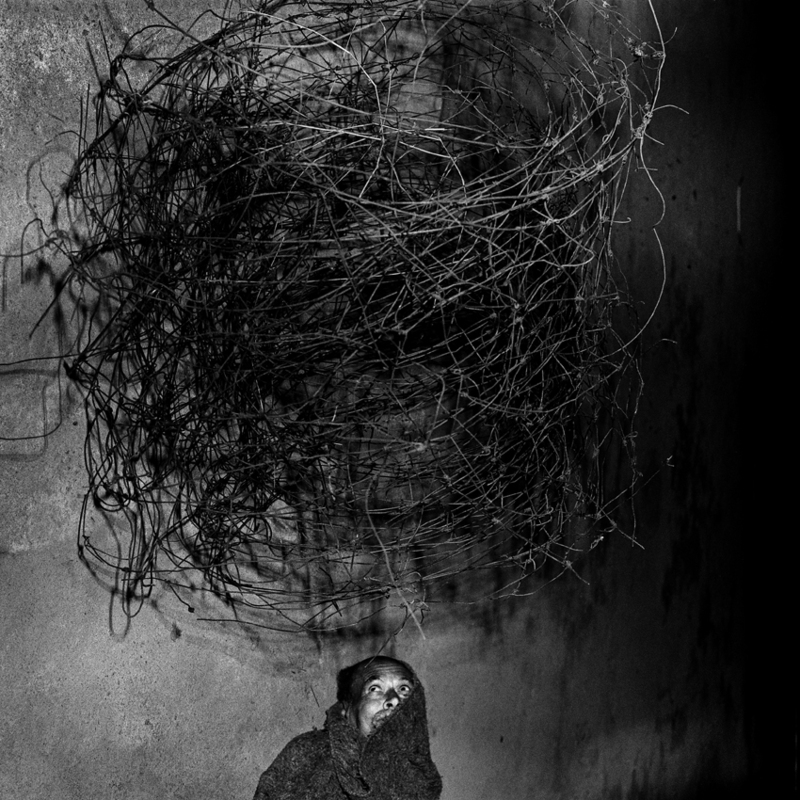 Following successes with Antoine d’Agata, Anders Petersen and Erik Kessels we are proud to present Roger Ballen as the workshop leader for the next retreat in Fez, Morocco (5-9 May 2012). Like most great artist-photographers Roger Ballen’s work is hard to define. Drawn from the documentary genre, Ballen has developed an approach all of his own. His photographs are complex tableaux of surreal and disturbing visions that attempt to reflect his own psyche, which he regards as revealing his existential journey in life. Focussing on the interactions between people, animals and objects that inhabit rooms – rooms that are typically squalid, their walls covered with scribbled drawings, stains and wire; their floors strewn with bizarre props and artefacts – Ballen stages unsettling scenarios that chafe on our subconscious. Born in New York in 1950, Ballen has lived in Johannesburg, South Africa since the 1970’s. His work has been exhibited in many important institutions throughout the world and is housed in numerous museum collections including Victoria and Albert Museum in London, Museum of Modern Art in New York and the Centre George Pompidou in Paris. Ballen is represented by the Gagosian Gallery, Stills Gallery and Gallery Xavier Hufkens S.A. His books have received critical acclaim such as Platteland: Images from Rural South Africa (1994), Outland(2001), Shadow Chamber (2005) and his latest series Boarding House(2009). The organisation’sflagship is 1000 Words, an online magazine dedicated to contemporary photography in the UK and beyond. It reviews exhibitions and photobooks and publishes interviews, essays and multimedia. We are committed to showing the work of lesser-known but significant photographers alongside that of established practitioners in the aim of bringing their work to a wider audience. Often incredibly diverse in terms of subjects, concepts, styles and techniques whilst always foregrounding the subjectivity of documentary art photography, 1000 Words intends to explore the limits and possibilities of the medium. Released quarterly, the magazine attracts over 140,000 unique visitors from more than 75 countries every month. In May 2010 the 1000 Words Blog was ranked at number 3 in The Top 25 UK Arts & Culture Blogs as part of a survey carried out by Creative Tourist and was also named as the winner of Arts Media Contacts’ Photography Blog of the Year Award, 2010. Yet 1000 Words is much more than just an online magazine. It is the first step in our concept. 1000 Words also operates a programme of exhibitions and events including four annual workshops in Fez, Morocco as well as talks, portfolio reviews, prizes and awards. 1000 Words is governed by its board of directors who play an active role in the direction of the organisation. They are: Camilla Gore, Nicholas Barker, Simon Baker, Aron Morel, Louise Clements, Tim Clark, Michael Grieve and Norman Clark. The 1000 Words Workshops are organised by Tim Clark, founder and editor-in-chief at 1000 Words and Michael Grieve, 1000 Words deputy editor, senior lecturer at Nottingham Trent University and a photographer represented by Agence Vu. The 1000 Words Workshop takes place in an authentically restored riadsituated in the medieval medina, at the heart of the beautifully evocative city of Fez, Morocco. The workshop will be an intense experience lasting five days between 5-9 May 2012 and will consist of 12 participants. The medina is a vibrant labyrinth that will permeate all the senses. Surrounded by the Atlas Mountains, it offers a visually stunning backdrop for this truly unique workshop. We are looking for a diverse range of participants who understand the work of Roger Ballen and feel that their own art will benefit from his guidance. Participants will be expected to make their own travel arrangements and find accommodation, which in Fez can range from £150 upwards for the week. We can advise on finding the accommodation that best suits you. Remember that most of your time will be spent either at the riad or shooting. For photographers using colour film we will provide the means for processing and a scanner. Photographers shooting digital will be expected to bring all necessary equipment. Please note that for the purposes and practicalities of a workshop, digital really is advisable. All participants should also bring a laptop if they have one. Every effort will be made to accommodate individual technical needs. “Antoine D’Agata workshop in Fez was a mind shaking experience, and for me that was just what I needed! Antoine’s repeated question to me was, “but what do you want?” What a simple question it may seem but to truly honestly answer this was one of the hardest things. Antoine struggled with me daily to be truthful to the process of shooting and to my work. Trying to do this as a white woman in a muslim foreign country seemed scary at first. But soon enough this fear pushed me to go farther than I had before. To take more risks and be more bold. In the end, I had allowed myself to befriend men and women who were at first just strangers on the street. My once beautiful but safely intimate portraiture became more real for me, evoking not only the fear of letting myself leap in a strange place but in the process of doing so, being able to see so much more in others. We require that you send 10 images as low res jpegs and/or a link to your website, as well as a short biography and statement about why you think it will be relevant for you to work with Roger (approx. 200 words total). Submissions are to be sent to [email protected] with the following subject header: SUBMISSION FOR 1000 WORDS WORKSHOP WITH ROGER BALLEN. This entry was posted in 1000 Words Photography Magazine Blog, Contemporary Photography and tagged 1000 Words, Boarding House, Centre George Pompidou, Centre Pompidou, Contemporary Photography, Critical Acclaim, Documentary Genre, Fez Morocco, Gagosian Gallery, Hufkens, Johannesburg South Africa, London Museum, Museum Collections, Museum Of Modern Art, Museum Of Modern Art In New York, Photographer, Photographers, Photographs, Photography., Roger Ballen, Stills Gallery, Victoria And Albert, Victoria And Albert Museum, Victoria And Albert Museum In London, Workshop Leader on December 20, 2011 by Tim Clark. Short film: Constantin Brancusi, sculptor, photographer, filmmaker! Romanian sculptor Constantin Brancusi was a visionary artist who delighted in the play of light on form, shape, volume. What many people don’t know is that he was also an avid photographer (which makes perfect sense), and he made movies with a hand-held 35 mm movie camera! The Centre Pompidou in Paris has pulled together a remarkable exhibition of the photographs and movies — and Brancusi’s studio itself was moved intact to the site, offering an amazing opportunity to see an artist’s creative work environment. jd . The studio installation is permanent, however the exhibition of photos and movies ends tomorrow. If you can’t make it in person, you can enjoy the excellent book and/or a DVD of his short films, both available at the Centre’s bookstore. This entry was posted in Contemporary Photography, Uncategorized and tagged 35 Mm, Bookstore, Centre Pompidou, Centre Pompidou In Paris, Constantin Brancusi, Contemporary Photography, Creative Work Environment, Dvd Films, Images, Movie Camera, Movies, Perfect Sense, Photographer, Photographers, Photographs, Photography., Play Of Light, Remarkable Exhibition, Sculptor, Shape, Short Film, Short Films, Visionary Artist on September 11, 2011 by Jim. The 8th Vevey International Photo Award is a unique form of support for contemporary original works, with a free choice of subject matter and genre. This contest is open to artists, and professional or student photographers. 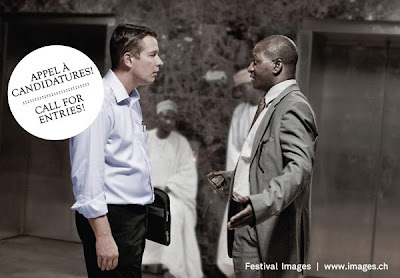 An amount of 40,000 Swiss Francs (over € 30,000) is awarded for the development, realisation and presentation of the winning project during the Festival Images 2012 in Vevey, Switzerland. Applying to this contest is also an opportunity to receive other prizes such as the Mention Leica, the Mention Boncolor and the Prix Nestlé. Clément Chéroux, curator, cabinet de la photographie, Centre Pompidou, Paris. Marloes Krijnen, director of the photography museum Foam, Amsterdam. Christian Lutz, photographer, co-winner of the Vevey International Photography Award in 2009-10, Geneva. James Reid: photography director, Wallpaper*, London. Subscribe now on the website www.images.ch and send your photo project before 15 April 2011! This entry was posted in Uncategorized and tagged 15 April, Andres Serrano, Centre Pompidou, Centre Pompidou Paris, Christian Lutz, Festival Images, Free Choice, International Photo, International Photography, Original Works, Photo Award, Photo Project, Photography Award, Photography Museum, Photography Wallpaper, Student Photographers, Swiss Francs, Vevey Switzerland, Www Images, York Artist on April 2, 2011 by Tim Clark.